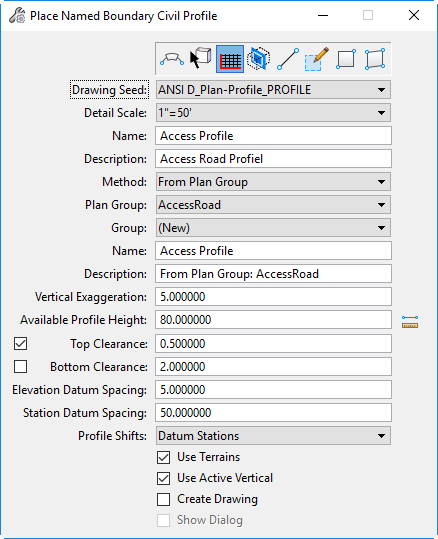 In the newest release of OpenRoads Designer CONNECT Edition Update 2 the ability to create Plan and Profile sheets has been added to the workflow. You no longer need to export legacy data for GEOPAK and InRoads and create plan and profile sheets with legacy tools. 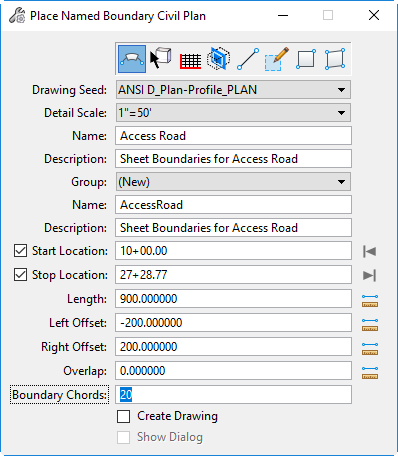 In OpenRoads Designer, we can use named boundaries to create dynamic plan and profile sheets that are also suitable for plans production purposes. The Place Named Boundary tool is similar to the command which exists in MicroStation CONNECT Edition. However, it has been customized by the OpenRoads software to provide additional capabilities needed in civil engineering workflows. 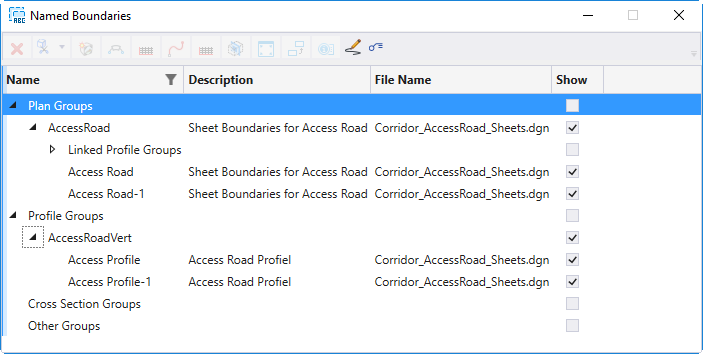 The Named Boundaries manager shows a list of the boundaries which exist in this file. 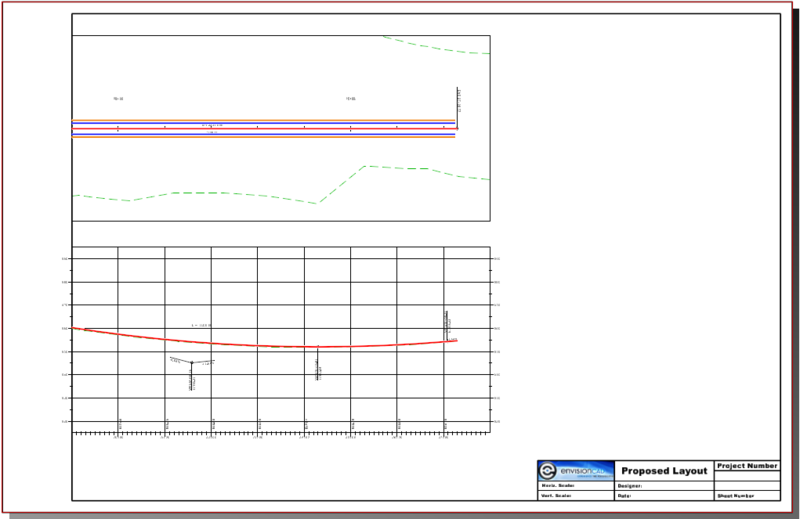 Notice that the boundaries created include one boundary for each of the two sheets required to cover the Access Road and one boundary for each corresponding profile. 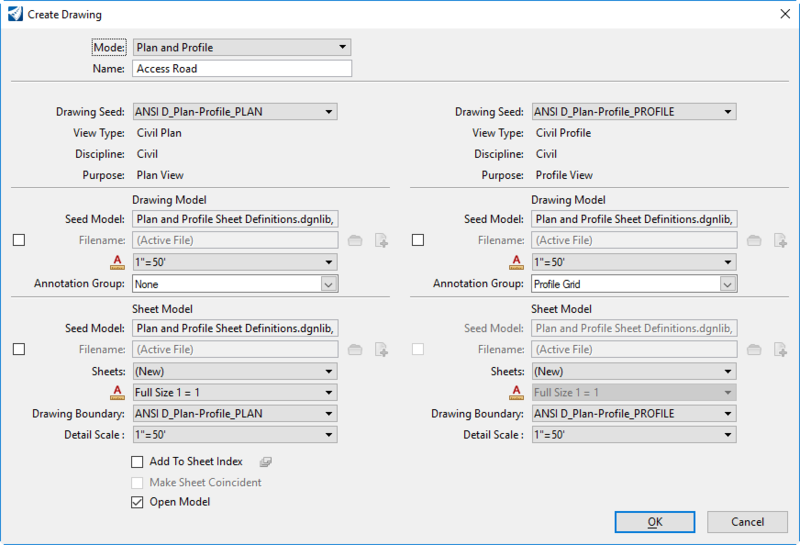 The Create Drawing dialog will then open showing the settings which will be used for creating the plan/profile sheets. It can take a few minutes to create the sheets. The sheets will be created as sheet models complete with border and annotation. Each sheet will be in a separate model. When all the sheets are finished the last sheet will be visible in the view.